Tipping is something that's uncommon in many countries around the world. In fact, in countries like Japan, if you tip a waiter or bartender, they get offended! However, in the United States, tipping is mandatory. We will mainly be talking about tip jars now, so let's come back to the actual topic. Tip jars; we see a lot of them in the United States. 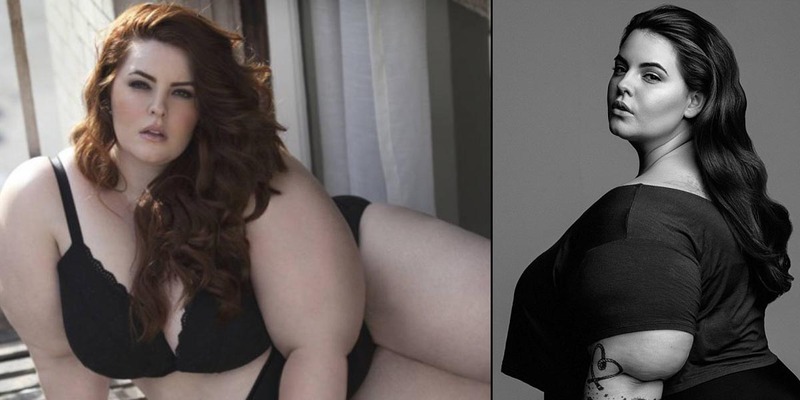 Don't we? Many local stores and businesses keep a tip jar hoping to get a few extra bucks from customers as a gratuity. While the tips may not even cover a little part of the overhead costs, they certainly help business owners to some extent. Well, who doesn't like receiving a few extra bucks without putting any extra effort? Most tip jars don't grab our attention. They are plain glass jars with a note 'Tips' written on them. However, some tip jars catch our attention right away with humorous or interesting catchphrases. Have you ever seen an unusual tip jar before? No? Fine, we will show them to you now! Tip jars like these are cool and funny. 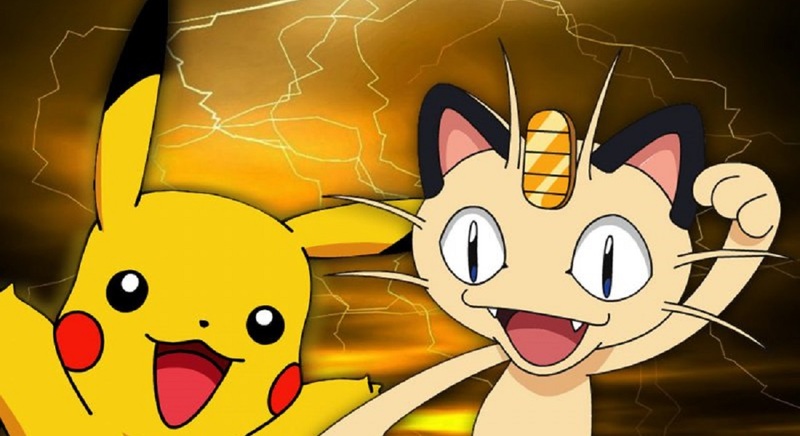 They don't just make you smile, but also compel you to tip, no matter what! Here are fifteen such most unusual tip jars exclusively for you to make your day! This is the best tip jar idea any store or business owner can get! We bet this person must be making big money on tips, even better than what his entire business can make. 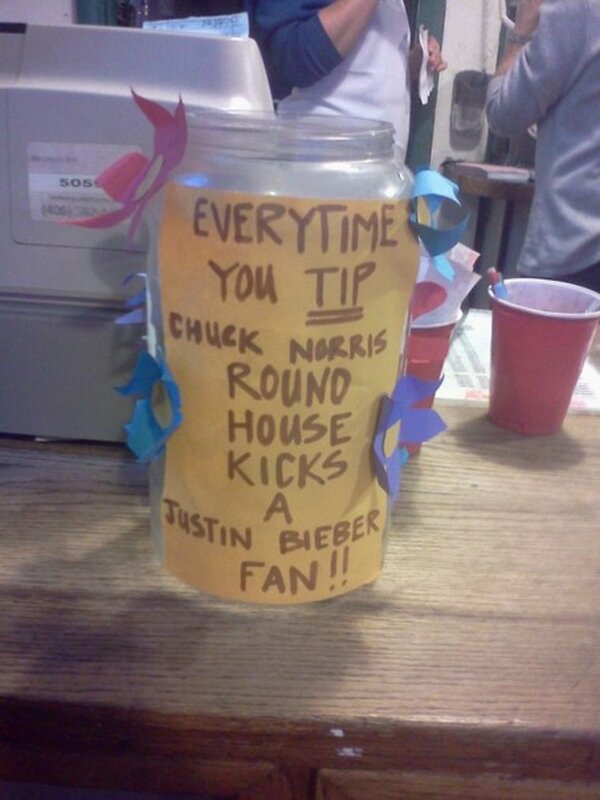 Given the fact, Justin Bieber is one of the most hated celebrities; we strongly think this tip jar works like a charm! 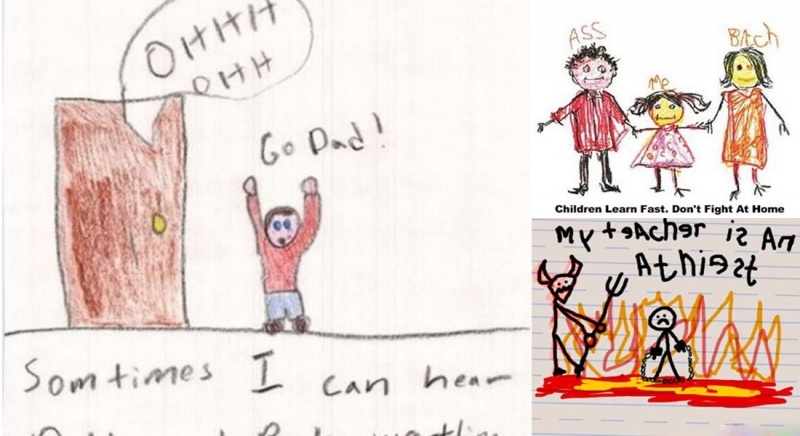 How can anyone ignore Chuck Norris's name there? Do you run a business, and do you think your tip jar isn't filling fast? Here it is, an awesome tip jar idea you should be implanting today! Check this clever and interesting competition based tip jar that collects big money in the form of tips. 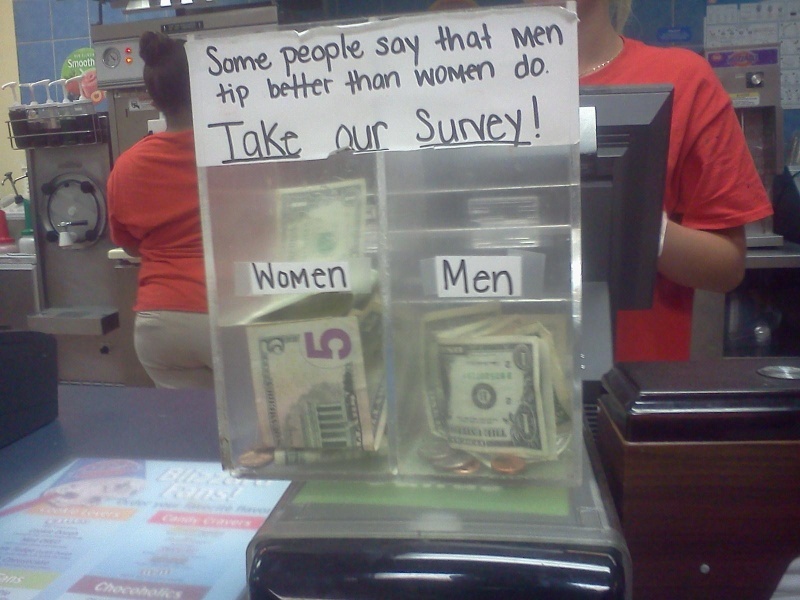 While men and women defend their genders, the owner of this tip jar quietly makes quick money. Ah, how cute was that? 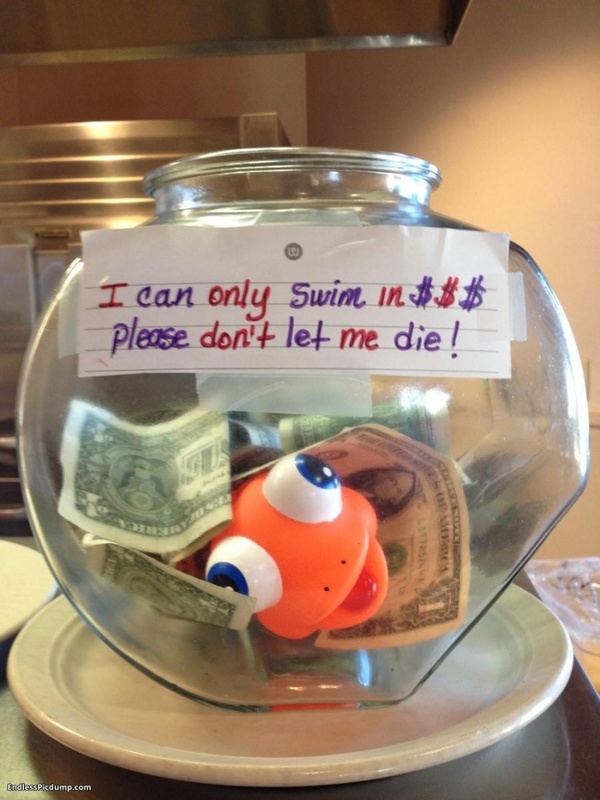 Why wouldn't anyone tip after knowing that this cute fish will die if there's insufficient cash in the jar? 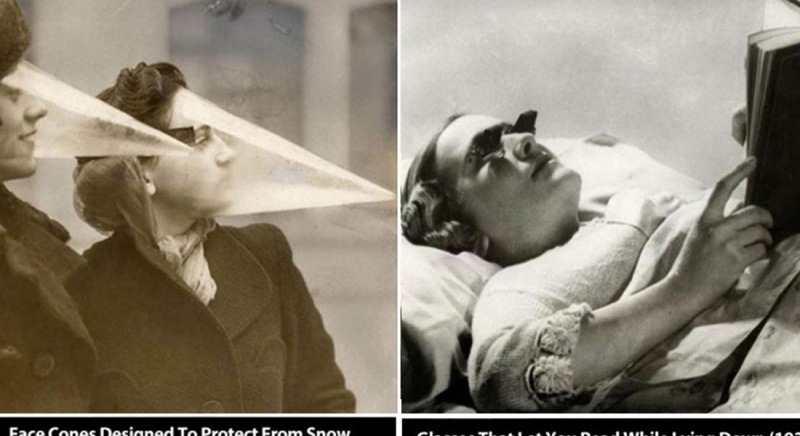 This is really cool. The owner there knows how to hit people sweetly on their weaknesses! That was a really nice tip jar idea. You can try if you own a business establishment that accepts tips.